Researchers Irene C. Fountas and Gay Su Pinnell identify the ultimate guided reading goal as helping children learn how to use independent reading strategies successfully. So how can you make the most of guided reading in your classroom? Use the checklist below. Leveled Books K-8: Matching Text to Readers for Efficient Teaching, Fontas and Pinnell. Heninemann, (2005). Ensure that the heart of each guided reading is actual reading and practice. At first, support students heavily with explanation, coaching, and interaction. Gradually release support as students learn to use guided reading strategies independently. 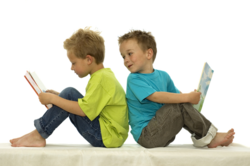 Commit at least 2/3 of total guided reading time to actual reading practice. Never do anything that isnt aimed directly at the goal of independent reading. Let students needs drive instruction. One group of students might need extensive decoding support; another might call words well, but get no meaning from what they read. Examine the results of informal observations and formal assessments, and then create an I want This Student to Learn checklist for each member of the class, based on the gaps you see. The checklist will double as an informal progress report. When your guided reading groups meet, keep students individual goals on the front burner. Dont deviate, and give them time to mature the skill. * Cant read multi-syllabic words (intimidated, doesnt understand patterns) Create a checklist: questions the student can ask himself or herself to solve mystery words. 1. *Place a check next to the date each time the student uses strategy successfully. Highlight the three top needs in your class, integrate and repeatedly focus on them throughout the day, no matter what you are teaching. Otherwise, students might learn to use specific strategies during special instruction time, but fail to use them elsewhere when they read. explicitly describe to students the strategy you used. Dissolve and create new groups whenever students needs change.